Pete Deliivanov has been a licensed California real estate salesperson since the age of 18 and a Placer County resident since 2002. Over the years, he has worked with several real estate corporations and luxury home brokerages prior to joining Nick Sadek Sotheby’s International Realty. Mr. Deliivanov earned a Bachelor’s degree in Political Science from the University of California at Davis and has participated in a variety of diplomatic relations programs as well as a non-profit organization focused on child safety. He is multilingual and speaks: English, Bulgarian, and Macedonian fluently. Pete also has limited working proficiency in Ukrainian and Russian. 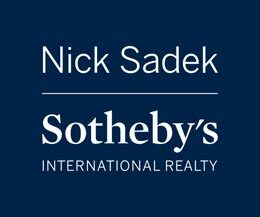 The combination of his diverse language skills, real estate investment experience, and the global resources at Nick Sadek Sotheby’s International Realty make Pete Deliivanov an ideal partner in achieving your real estate related goals. Mr. Deliivanov is a member of the Placer County Association of Realtors Sacramento Association of Realtors, and the National Association of Realtors. He specializes in web design and online marketing for luxury real estate. His skills make him an ideal choice for sellers looking to reach a greater number of potential buyers in a short period of time. He also works diligently to provide buyers with recently listed properties that suit their personal or professional needs. Please reach out to Mr. Deliivanov with any purchase inquiries or if you would like to list your property.